Come celebrate Happy Honda Days with us at Curry Honda, the biggest Honda sales event of the year! 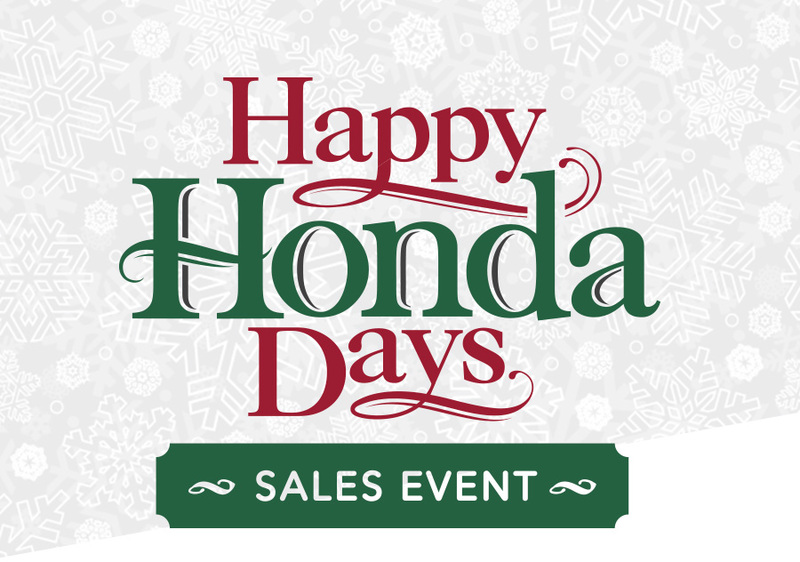 We have amazing savings on many different Honda models, but these deals are only available during Happy Honda Days. From sedans to SUVs, we've got the perfect vehicle to make your holidays sparkle! Don't wait to take advantage of these deals because they'll only be around until January 2. Interested in learning more about Happy Honda Days? Contact us today or stop by our dealership at 5525 Peachtree Industrial Blvd, Chamblee, GA 30341. We look forward to serving our customers near Atlanta, Alpharetta and Gwinnett.